to cross a hazy trafficked street is a crazy affair at 5 o’clock. hoping to make it safely across. There is no challenge to life’s crossings then. ebullient escapade and escape from dusky death. which I will hit it at 5:10 PM, or maybe sooner. 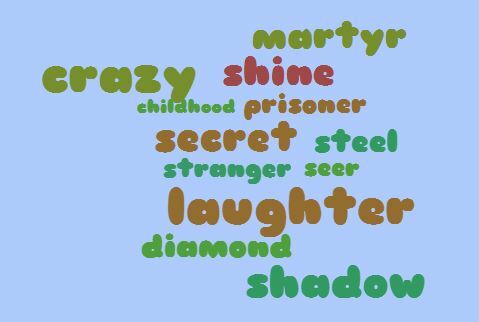 This entry was posted in aging, danger, death, poetry, the sunday whirl, Wordle and tagged aging, death, poetry, spiritual planes, the sunday whirl, wordle by The Writer's Village. Bookmark the permalink. One never knows when the hit will come, does one? Love it, from years of watching Channel 7 news, it is risky sometimes, walking in that city.